Are you bored with running on a treadmill? Or are your joints sore from high-impact jogging? If so, these eight exercises are a great way to mix-up your workout and burn more calories. 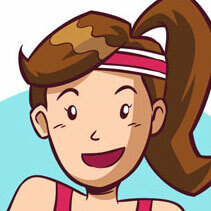 When it comes to cardio exercise, running is many people’s “go to” exercise. This isn’t a bad thing. Running burns plenty of fat, doesn’t require equipment and trains mental resilience. It’s also fun – especially on a breezy summer’s day. With that said, it’s not always the best exercise if you want to maximise your fat burn. So, if weight loss is your goal, you may want to consider including other types of cardio in your routine. To help you mix-up your workouts, here are six exercises that can burn more calories per hour than running. How is Calorie Burn Measured? Estimating the number of calories burned by a type of exercise is not an exact science. The number of calories burned depends on your fitness, intensity of the workout, metabolism, weight and various other factors. In other words, just because the average person burns around 650 calories per hour when running at 5mph doesn’t mean you will burn the same. Exercising in short, high-intensity bursts may also continue burning calories after you stop your workout. This is why high-intensity interval training is often recommended for weight loss. Even so, it can still be useful to compare the average amount of calories burned for common types of exercise. To help with this, the ACSM provides the “metabolic equivalent” of over 800 types of physical exercise. This is a rough measure of how much oxygen a person needs per kilogram of weight during exercise. The higher the MET rating, the more calories a person burns during that exercise. By using the ACSM’s MET ratings, you can compare the amount of calories burned by various types of exercise. This provides a quick comparison – even if it’s not always 100% accurate. With the previous figure of 650 calories per hour in mind (which was calculated for someone who weighs around 70kg running at 5mph), we found six other exercises that burn more calories per hour. Rowing is one of the most effective ways to burn calories. If you can keep your intensity at over 200W, a 70kg person can expect to burn over 800 calories per hour. Despite this, you’ll often find the rowing machines empty at the gym. It’s not the most enticing form of cardio, but it’s highly effective if you want to lose weight. If you want an activity that’s more competitive than stationary rowing, Taekwondo could be the perfect choice. It’s a tough martial art, but the inherent competitiveness makes it great for burning fat. To put this in context, a single class of Taekwondo could burn off the equivalent of 2-3 slices of pizza. Many people also find martial arts less monotonous than steady-state cardio. Note: Want to discover seven other fun activities that burn calories? Click here. Another competitive sport that burns a lot of calories is soccer. According to the Independent, the average person can expect to burn over 900 calories per hour when playing. You don’t need to play at a high-level to burn plenty of calories. Pick-up games or just a kickabout with friends can do the job – although the intensity needs to be high if you want to maximise calorie burn. High-intensity swimming is a brilliant way to burn calories without putting too much strain on your joints. A few leisurely lengths of breast stroke won’t do the job though. To burn more than running at 5mph, you’ll need to swim quickly. Butterfly stroke is the best option for burning calories as you use more muscles. Just like stationary rowing, indoor cycling can burn over 800 calories per hour. The key is to keep up a high intensity. This is why spinning classes can be useful, as you’ll be pushed to your limit by the instructor. For short and high intensity training sessions, a jumping rope can be almost as effective as cycling or rowing. You should aim for around 100 skips each minute to maximise your calorie burn. This exercise can be hard on your joints and tendons though – especially the Achilles and patella tendons. Start slowly and work up to 100 skips per minutes over the course of several sessions. If you feel any pain, stop immediately. What About Yoga for Burning Calories and Losing Weight? We often get asked whether yoga is good for burning calories. Some people say it’s great for flexibility and mindfulness, but not so much for burning fat. Others, such as the team behind Yoga Burn, claim it can be effective for weight loss – but only if you do it right. 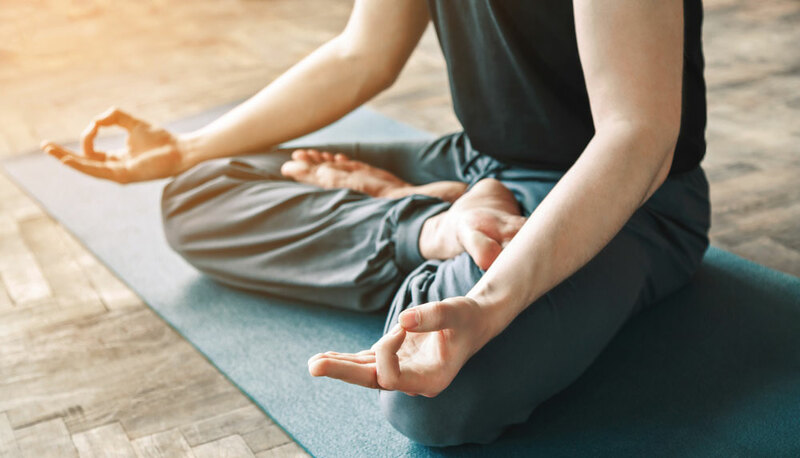 While yoga is never going to burn as many calories as the other exercises on this list, it has been shown to have a positive effect on people who want to lose weight. This might be through increased calorie burn, but may also be due to improved mindfulness that helps people avoid overeating. Of course, diet is even more important than exercise when losing weight. Programs such as the Half Day Diet (click here for more info) may be useful if you’re not sure where to start with a calorie-restricted diet. Running isn’t the only form of cardiovascular workout that burns plenty of calories. The other six on this list are great for weight loss and provide more variety to your workouts. As you’ve probably noticed, the exercises that burn the most calories are those that use lots of muscles. This makes sense – but it makes them much more challenging. But hey, we never said burning calories would be easy! It’s also worth noting that these exercises burn more than running at 5mph. If you run faster than this, you’ll burn more calories – and possibly more than the other exercises. Even so, it’s always a good idea to mix up your workout – and the six exercises above are great for doing just that. Do you have any questions about designing a weight loss training routine? Or do you have a favourite exercise for burning fat that we’ve missed? Let us know in the comments! Can an Intermittent Fasting Diet Help You Burn Fat? Olivia is health nut from the UK. She's a vegan who loves writing about the latest and most important topics in fitness and nutrition.